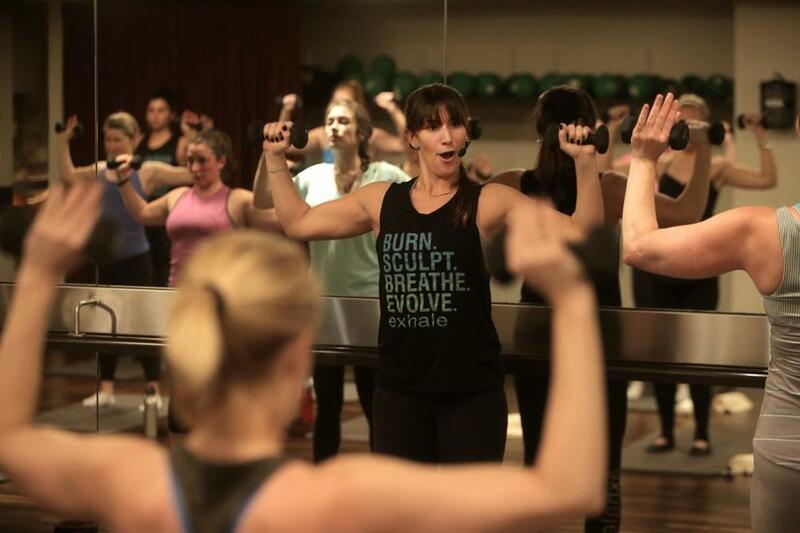 “Group exercise is very effective because it jump-starts fitness, pushes you out of your comfort zone, and gives you a level of accountability and camaraderie,” says Caitlin Milbury, mind-body manager at Exhale Battery Wharf. The tumbleweeds of wrapping paper are tossed, everyone is back at work, and the water cooler chatter no longer revolves around travel plans or New Year’s resolutions. But the latter is still on your mind. Or it should be, at least. According to a University of Scranton study published in the Journal of Clinical Psychology, about 45 percent of Americans make New Year’s resolutions, but only about 8 percent follow through on them. Experts say being realistic and patient are essential. Focus on small victories and they’ll add up. A bit more than a week into the new year, it’s time for a progress check. These tips can help you make good on your promise to yourself and keep you from becoming another fallen resolutionist. 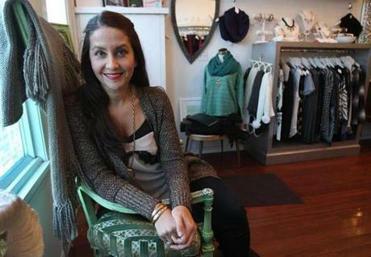 “When you’re looking to change, go to your closet first,” says Pam Santorelli, owner of the boutique Habit. To quote Oscar de la Renta: “Fashion is about dressing according to what’s fashionable. Style is more about being yourself.” Time to ask: Does your wardrobe express your true self? Or is your closet overrun with relics of trends past and one too many Patriots jerseys? She says to ask friends over for second opinions as you sort through. Then again, if your friends have their own style hang-ups, you might have to call in the experts. With input — and, hopefully, inspiration — you’ll make space in your closet and come up with the shopping list to guide you year-round. Your home, like your wardrobe, is an extension of yourself. And as with style, sometimes it just takes an accessory to reboot the whole look. If you don’t have the will or the wherewithal for a complete space makeover, consider adding a few flourishes that could change the tone of a room. “If you’re attracted to a specific color, start adding it to your home. It can be refreshing even if you only add something small, like a pillow. One pop of color makes a statement and can make a huge difference in a space,” says Kathie Chrisicos, president and lead designer of Boston-based Chrisicos Interiors. Another easy, economical trick: appropriate common objects as décor. Once you’re in the right mindframe, you could eliminate the need to shop and redecorating can be a continuing, dynamic process. Resolved to shed 35 pounds in two months? Extreme fitness goals are a sure way to intimidate yourself — and give up on your resolution. Go slowly, find a gym where you feel at home, and stick with your health goals. For aspiring fitness junkies, classes can offer the essential motivation that will drive you beyond the January surge. Change will only come, she reminds, once going to the gym becomes a way of life. “Ultimately it’s a self-motivating lifestyle that organically extends to making better choices across the board,” Milbury says. Science has spoken: reading books offers more cognitive benefits than settling in with a digital device. A study out of Norway’s Stavanger University says that without the tactile experience of the page, Kindle readers are not as adept as book readers at recalling facts from a novel. Comprehension also suffers with e-reading. Studies show that readers online resort to skimming and keyword spotting on the digital page instead of engaging in more focused reading. Then there’s the evidence on how digital distractions — from social media alerts to incoming messages to clickable embedded links — fracture our attention spans. The moral here? Visit ye olde local bookstore. You don’t have to swear off your digital devices. But picking up a book on paper might just be good for your brain. 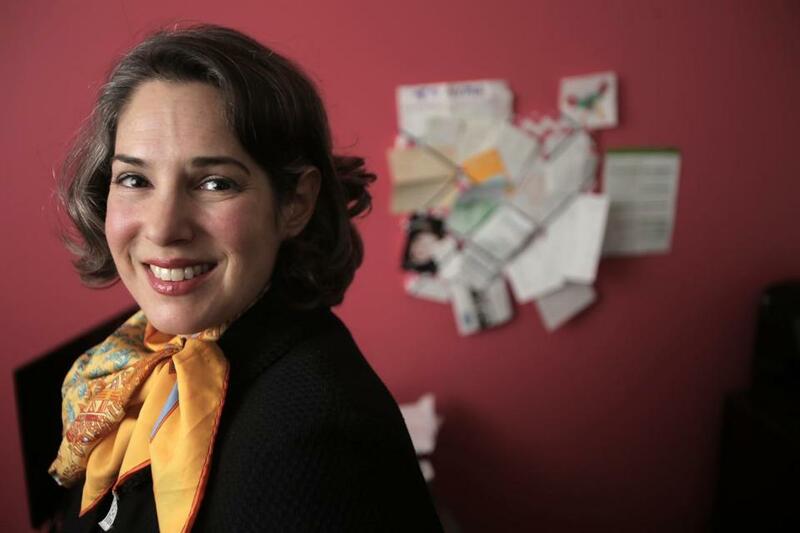 “The budget is the place where everyone needs to start,” says financial planner Sandra Gilpatrick. It sounds so simple, but it’s one of those time-consuming things that you’ve sworn you’re going to do this year: setting a budget. Before you get down to the nitty gritty of where to trim and where to spend, there are psychological hurdles to tackle. Having three months’ worth of living expenses stashed away is the top priority, she emphasizes, then retirement savings — an expenditure that amounts to you paying yourself. But if there’s a big purchase, like a car in your future, monitoring every single source from which money is flowing in is the only way you can gauge how plausible it is to spend. Liza Weisstuch can be reached at liza.weisstuch@gmail.com. Follow her on Twitter: @livingtheproof.